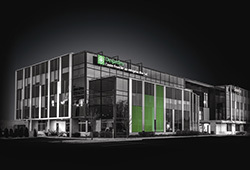 Desjardins Business - Rive-Sud houses specialists who are able to meet all your corporate financial needs. The goal of Desjardins Business - Rive-Sud, which partners with 14 caisses, is to become an industry leader and reinforce its expertise in the field by providing businesses with the most diverse products and services in the industry, all near at hand under one roof. The management team's mission is to remain close to members and be attentive to their needs.